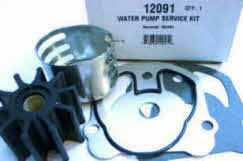 P/N 12390 OEM 983298 Stringer water pump housing with wheel bearing grease. 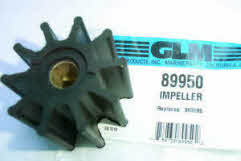 Notice how impeller is much larger than the housing. 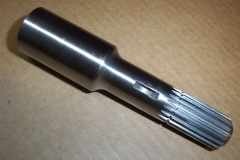 When inserting into housing turn the pump shaft counter clockwise to install. 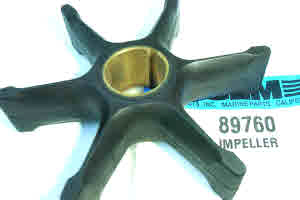 Click here for OMC 800 series impeller how to videos. 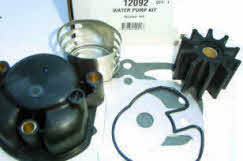 Pump housing OEM 983298, seal OEM 907774, plate OEM 313178 and impeller OEM 379475. 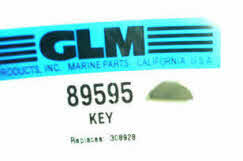 Comes with wear plate OEM 911703, O ring OEM 310584, O ring OEM 310585, O ring OEM 314491 and O ring OEM 910238.